In a letter pressing Russia not to grant asylum to former NSA contractor Edward Snowden, Attorney General Eric Holder made the highly disingenuous promise that Snowden will not be tortured if he is returned to the United States. The fact that the U.S. attorney general needs to send a letter to a foreign government assuring them that an American citizen will not be killed or tortured in his own country seems damning enough on its face. But in fact, Holder’s pledge is by most standards untrue. It relies on a conveniently narrow definition of torture, which precludes forms of extreme psychological and physical abuse that are deemed torturous by the United Nations and a host of human rights groups, but not by the United States government. Chief among these is prolonged solitary confinement. Snowden faces charges of “willful communication of classified communications to an unauthorized recipient” and “unauthorized communication of national-defense information.” Never mind the fact that most of the information was leaked long ago to journalists like James Bamford. Snowden need only look to the treatment of others accused of national security breaches to see what would surely await him in the United States. Bradley Manning was subjected to more than nine months of pre-trial solitary confinement, some of it naked in a bare cell. Suspects held in the civilian, rather than military, justice systems fared, if anything, worse than Manning, who was eventually removed from solitary. Muslims accused of relatively minor national security-related offenses have spent years in pre-trial solitary under “Special Administrative Measures” (SAMS) which bar all communication with the outside world. Finally, driven mad by isolation and convinced that they cannot get a fair trial, they are pressured to take pleas with sentences ranging 30 years and up, likely to be served indefinite solitary confinement. In all probability, if the Russians give up Snowden, he will be brought back to American soil and immediately placed in solitary confinement under SAMS. Once he is convicted–which seems virtually guaranteed–he will continue to be held in solitary, for “national security” reasons or perhaps purportedly for his own safety. He could well end up at ADX, the infamous federal supermax prison in Florence, Colorado, the most state-of-the-art isolation facility in the world, where individuals live in 23- to 24-hour solitary in small concrete cells. His attorneys can then argue for such things as permission to exercise outdoors in a kennel run, perhaps without his legs being shackled and hands manacled, or to visit a family member through a glass barrier. Snowden might be driven to some of the crazy and desperate behaviors demonstrated by other residents of ADX after years of extreme isolation and sensory deprivation. According to a current lawsuit, “Prisoners interminably wail, scream and bang on the walls of their cells. Some mutilate their bodies with razors, shards of glass, writing utensils and whatever other objects they can obtain. Some swallow razor blades, nail clippers, parts of radios and televisions, broken glass and other dangerous objects.”One man held at ADX, who had no prior history of mental illness or self-harm, has both cut himself extensively and bitten off both his pinky fingers. Suicide attempts are common. And all this while he is not being tortured. This entry was posted in News and tagged ADX, asylum, Bradley Manning, Civil Liberties/Civil Rights, Edward Snowden, Eric Holder, Federal Prisons, Psychological Effects, Russia, Solitary Confinement, supermax, Supermax Prisons, Torture, Torture. Bookmark the permalink. The government can avoid the media’s backlash over solitary by utilizing 1 of 2 CMUs. Why the prisons don’t use this method more widely is puzzling to me. It seems the public would also benefit by having avoided releasing a mentally ill from isolation directly to the street. Remember Colorado? BOP established CMUs in 2006 and 2008, in two institutions (FCI Terre Haute and USP Marion) to house inmates who require increased monitoring of their communications with the public. In these two Communications Management Units (CMU), the conditions of confinement are similar to general population and inmates are allowed to congregate outside their cells for up to 16 hours per day. From fiscal year 2008 to February 2013, the total CMU population increased from 64 inmates to 81 inmates. However each CMU contains a SHU dedicated to housing inmates in need of being placed in SHU-administrative detention or SHU-disciplinary segregation status. The total CMU inmate population and number of cells includes SHUs within the CMUs. Referrals for transfer to a CMU are to be coordinated by the BOP Counter Terrorism Unit (CTU). What way to sacrifice your life. “The final minutes of this episode were so raw, so brutal, that it’s kind of hard to relive them again — even to write them down. Ray finally agreed to let Adrian see him, but thanks to all the delays, the guards said that visiting time was up and dragged Ray away kicking and screaming. Linden tearfully reminded Ray that Adrian could hear him and told him to remember the trees outside his window. Later, when he was being walked toward the execution room, Ray stumbled and lost his step, but when he saw Linden standing with his son outside the window, he found a little strength. So at least Snowden won’t have to worry that they got his weight right and his neck might not break instantly leading him to dangle and strangle. 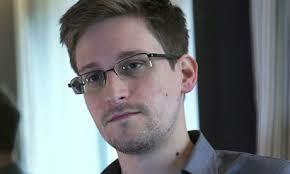 Edward Snowden’s not the story. The fate of the internet is! All those inmates that had died aré now resting in peace they’ve scaped the torture and miserable life CA prisons “System”… May God forgive them,and give them a everlasting life in Paradise. R.I.P. Amen. Snowden, Manning, and now Aleynikov. This centuries high tech crimes. A month after ace programmer Sergey Aleynikov left Goldman Sachs, he was arrested. Exactly what he’d done neither the F.B.I., which interrogated him, nor the jury, which convicted him a year later, seemed to understand. But Goldman had accused him of stealing computer code, and the 41-year-old father of three was sentenced to eight years in federal prison. So true! Especially for those in the hole.